← 415 "Smoke on the Daughter"
The Simpson family is painted on the couch. "Papa Don't Leech" is the sixteenth episode of season 19. It originally aired on April 13, 2008. It guest starred Beverly D'Angelo in her first major appearance as Lurleen Lumpkin since season three's "Colonel Homer." The Dixie Chicks also made an appearance as themselves. This episode was rated TV 14 for DSLV. "Country music star Lurleen Lumpkin reappears in Springfield, destitute and a fugitive from justice due to owing a fortune in back taxes. Homer and Marge take Lurleen in, reunite her with her long-lost father Royce, and help her re-launch her musical career." Lisa delivers Mayor Quimby his order of Girl Scout cookies, but he is unable to pay her when he finds the entire town treasury empty. Quimby explains the city spent their money on a new slogan, "Springfield: Good". He next tries to make her give him the cookies by saying he'll pay her back next year, but she doesn't believe him. Quimby then threatens to allow gay scout leaders, but Lisa says she would support such a move. Now angry, Quimby tries to take the cookies from Lisa by force, but she gets away, leaving Quimby with no cookies and an empty treasury. Quimby calls a town meeting to discuss ideas for raising money. They try faking a natural disaster in order to get relief money from FEMA, but are tricked by a con man posing as a FEMA agent and end up in more debt than before. Lisa then reveals that Springfield has millions in uncollected taxes, and Quimby vows to collect the taxes in full from everyone who owes money (conveniently exempting himself and Mr. Burns). Springfield soon starts hitting up its most notorious tax evaders. Later, on Channel 6 News, Kent Brockman reports that all the tax evaders have been caught and made to pay their taxes—including himself, as he embarassedly admits. The only tax debt still outstanding belongs to Lurleen Lumpkin, a country music star who was once managed by Homer and who fell in love with him. Kent urges the citizens of Springfield to track her down and make her pay up. As the city searches for Lurleen, Homer finds her hiding in his car, and learns that after he quit as her manager, her life had spun out of control. Homer comforts the nerve-wracked Lurleen, who says she has no money to pay her taxes. Homer agrees to take her home, but Marge remembers how Lurleen caused a huge rift in her marriage, and demands that she get out of the Simpsons' house. Angrily driving her away, she discovers that Lurleen lives with the homeless. Marge begins to pity her and reluctantly allows her to stay with the family. As a thank-you, Lurleen cooks a barbecue for the family, and Marge apologizes about the argument earlier. Lurleen forgives her, and the two become friends. Soon, though, Lurleen is found, arrested, and taken to court. Lurleen pleads that she can't afford to pay her taxes because all of her money goes to her ex-husbands (all of whom strongly resemble Homer), but Judge Snyder is unmoved and orders her to pay what she owes. Lurleen becomes depressed, and the whole family soon hears Lurleen singing through the vent about her long-lost father. Marge realizes that because Lurleen's father left her, she had given up faith in all men. Marge decides to get the two Lumpkins back on a proper parent-child relationship. Scouring Springfield, she finally locates Royce Lumpkin, who explains that he left Lurleen because he realized he could never be a great father. Lurleen forgives him for leaving her, however, and she writes a new song, "My Daddy's Back", to celebrate their reunion. The two appear to have a newfound happiness, and spend a lot of time together. But Royce decides to leave Lurleen again, sneaking away in the middle of the night. Soon the country music trio The Dixie Chicks perform a new song on TV: It's "My Daddy's Back", but with different lyrics and re-titled "America's Back". Evidently, Royce plagiarized the song, which is confirmed when The Dixie Chicks thank Royce for the new song and say that he wrote it. The Dixie Chicks, however, are unaware of the plagiarism. Lurleen goes to the basement to sulk. Colonel Homer and "Major Marge" come to her, and tell her to take control of her destiny. Lurleen confronts her father and tells The Dixie Chicks that her father stole her song, and all four of them gang up on Royce and hit him with their instruments. 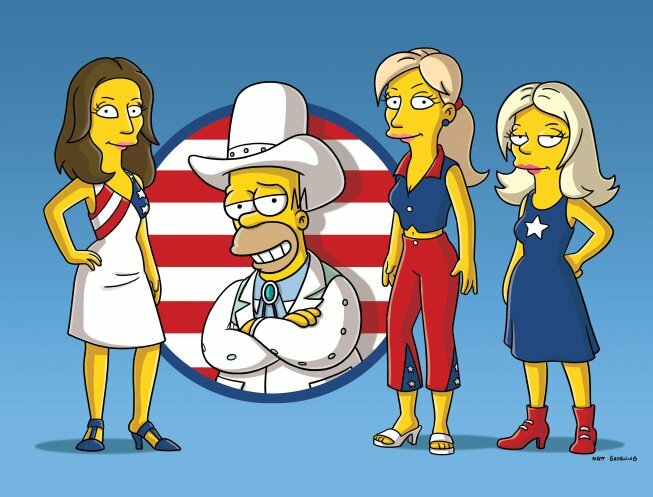 Lurleen then becomes the new opening act for The Dixie Chicks. She has a new boyfriend who, like her ex-husbands, bears a strong resemblance to Homer. When he asks her for $100 for beer, Homer announces that he likes him and thinks he's a keeper. Marge and Lurleen embrace in a hug. Marge then tells Lurleen that if she ever comes near Homer again, she will strangle her with her hair extensions: "That's right -- I know!" The episode was written by Reid Harrison and directed by Chris Clements. 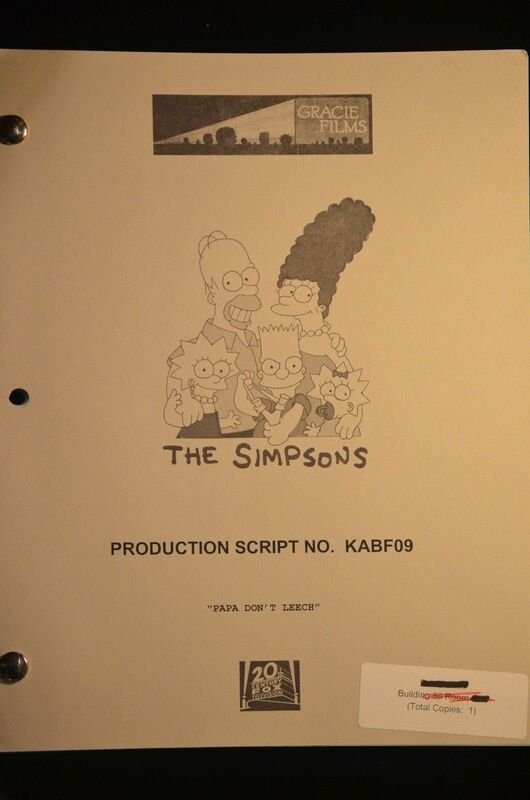 Richard Keller of TV Squad expressed dislike for the episode stating that he hopes, "The Simpsons will reconsider the next time they decide to give a solo opportunity to a supporting character many people don't remember." He found most of the plot, especially the sudden and seemingly unnecessary inclusion of her father and the Dixie Chicks, and the return of Lurleen Lumpkin after such a long time derogative. Robert Canning of IGN said "there were too few laugh-out-loud moments in this lackluster episode. Overall, it was nice to see Lurleen again, but she'd probably get more laughs in future cameos than in carrying an entire episode." He gave the episode a 6/10. The opening sequence where Homer murders Grampa in a dream was criticized, being called "the least funny thing I've ever seen on the show" by Robert Canning and "very un-Homer-like" by Richard Keller. The episode was the highest-watched program on Fox the evening it was shown, with an estimated 6.9 million viewers. It had a 3.2 Nielsen rating and a 9% audience share in its time slot. ↑ 1.0 1.1 1.2 Keller, Richard. Papa Don't Leech. TV Squad. Retrieved on 2008-04-14. ↑ 2.0 2.1 Robert Canning. "The Simpsons: "Papa Don't Leech" Review", IGN,. Retrieved on 2008-04-15. ↑ James Hibberd. "Disappointing return for 'Housewives'", Hollywood Reporter,. Retrieved on 2008-04-15. Modified on November 26, 2017, at 00:02.